Watching movies is a great workout for your listening and comprehension skills. When you watch a movie at home, you can repeat all the scenes in order to understand or guess what it is about; you are silent, attentively listening to phrases, and observing the action in progress. As a result, you enjoy easy mastery of the language without someone’s help. Movies are a medium of the Ukrainian national character and culture. Although the humor, romanticism, and optimism of Ukrainian films are often underscored by tragic elements, these movies are nonetheless inspiring. If you want to master your Ukrainian language or just learn more about Ukrainian culture, I strongly recommend you to watch one or many of the films from this list of Ukrainian movies. Have you ever thought about the alternative scenarios of Shakespeare’s story “Romeo and Juliet”? “Тіні забутих предків” is a Ukrainian answer on how Romeo could probably survive after the death of Juliet. For a long time the hero is depressed, but later, he decides he should somehow find a way to keep on living. He gets married, works hard, and in this way, tries to overcome his grief. The movie is filled with Ukrainian national traditions: the death and the wedding ceremonies, Christmas celebrations, and magic rituals. There you can get acquainted with folk songs, Carpathian nature, and the Hutsul dialect of Ukrainian language. What do you know about life in Soviet Ukraine? This movie shows how art, freedom, and religion were suppressed by the Soviet regime. Under suppression of religion, the brave artist intends to create the icon of the Lord’s Supper. To make the icon vivid, the participants of the Supper are taken from the local people. Can you imagine how a drunken person could win a struggle with the devil? This movie is about Ukrainian Cossacks who are able to do it! А дівчина з козаком! And the girl with the Cossack! What helps the Cossacks to win? For sure, their beliefs in the victory of truth and… wizard tobacco against devilry (зачарований тютюн проти нечисті). What do you know about love triangles, Ukrainian passion, and vechornytsi? This movie is about a love polyhedron. The couple of darlings is broken by the dishonest activities of several men who are in love with the main character. It occurs at vechornytsi (вечорниці). Vechornytsi is a sort of autumn-winter fun for youth; there girls and guys communicated, sang, danced, and looked for sweethearts. Бо на вечорницях дівки чарівниці. / Cause at vechornytsi girls are wizards. Котра дівчина та чорнобрива, то та дівчина усі чари знає. / The dark-eyebrowed girl knows all the magic. У неділю рано зіллячко копала. / On Sunday morning (she) dig the poison herbs. Прийшов вівторок – зіллячко зварила. / Tuesday came – (she) boiled the poison. А в середу – Гриця отруїла. / On Wednesday (she) poisoned Hryts. This modern Ukrainian movie is easy to watch as it has English subtitles. It is about people who find happiness in each day of their lives. The heroes of the movie are beautiful because they know that love is true happiness. A couple of people who love each other more than everything else, the lonely woman-fisher, and the unknown writer find their paradise at the seashore. To get acquainted with the woman-fisher, the writer jumps into the water and asks her to host him in order to dry his clothes. Then a new love story starts. What is an evil man? This movie states that probably the man becomes evil after having lost optimistic beliefs (in the case of the hero it is the loss of his revolutionary ideas). This story is about such type of men; it’s about his women, his crimes, and his everlasting hesitation of being a father. To get rid of the former mistress, the man attempts to kill his child. However, the child survives, the current beloved woman leaves him, and his life suddenly is unpredictably changed. Have you ever heard of Ukrainian folk magic? This movie is a great story of an aviator who was a true magician! Based on true facts, the action starts during the second World War when a young aviator demonstrates an impressing success at the specialized school. Nobody knows how he does it, but they gossip that he is a kharakternyk. Характерник is a Ukrainian magician who has supernatural skills; he’s able to transform his body, to travel through time and space, to heal people, to predict the future, and even to rule wild animals. Being imprisoned in USSR concentration camp, the man becomes a werewolf in order to get free and save his life. During this phenomenon he sets down the belt in front of him and then rolls over it. Although the doom brings him far away from the native land, he finds a new life at the tribe and lastly receives the news from the lost family. To represent the Soviet atmosphere, the heroes mostly talk in Russian. However, the movie has Ukrainian subtitles and thereby is helpful for the Ukrainian learners to master their language skills. Would you like to learn to understand fast Ukrainian? Check our article about the best Ukrainian radio stations online and prepare your ear to a lot of Ukrainian! Do you want to practice speaking in Ukrainian? 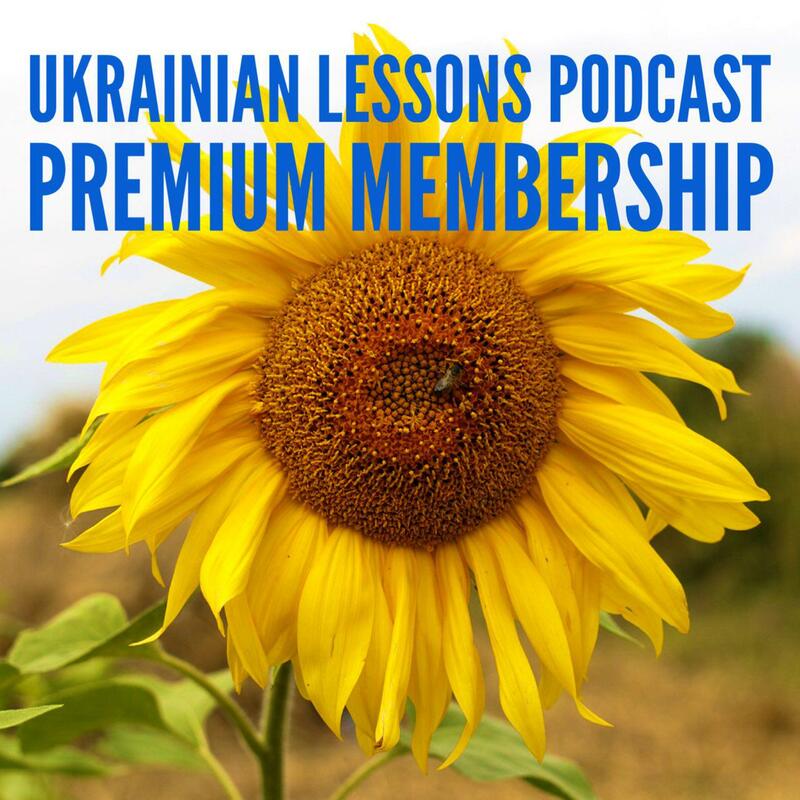 Book a lesson with a native speaker to practice your Ukrainian online! Yelyzaveta Taranukha is a second year PhD candidate at the Department of Literature Studies of the National University of Kyiv-Mohyla Academy (Kyiv, Ukraine), Ukrainian-Canadian Comparative Studies. 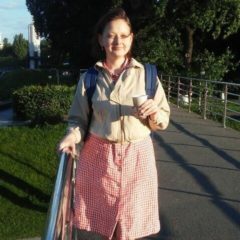 She is Ukrainian language teacher at Ukrainian Language Department of the National University of Kyiv-Mohyla Academy; her specific teaching method is based on fairy-tales and movies. She is interested in picking herbs, cooking, knitting, yoga, and hypnotherapy.